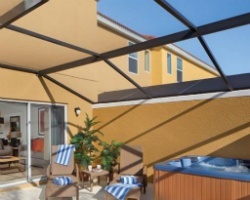 *Encantada Resort* is located in a secluded, gated community in Kissimmee, Florida. Accommodations are beautifully designed townhouses with upscale fixtures and finishes. On-site are amenities including a 24-hour clubhouse, a well-equipped fitness room, a playground, swimming pools with jetted whirlpool tubs, a running track, and a fishing pier. 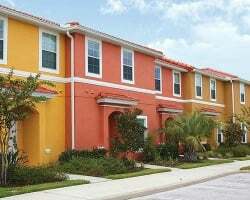 All of Orlando's major theme parks are within easy driving distance, along with restaurants, shopping, and nightlife. Beautiful upscale townhouse unit with all the comforts of home and more! Week 8 every year! Inquire for details! Family friendly resort with plenty of onsite activities! Buyer May Receive A Title Fee Credit, Inquire For Details! Enjoy week 51 in fun-filled Florida! Just minutes from the theme parks, golfing and more! Buyer may receive a title fee credit, inquire for details! Great family friendly resort! Annual 39 vacations! Many onsite and nearby activities for all ages! Inquire for details!